Moving has recently stirred my interest in redecorating. I think that a new bed and bedding would be a really great way to begin revamping my bedroom. Well, in my search for the perfect bed and bedding I happened to come across the CSN store allmodern.com. They have a great selection of platform beds, accent pillows and wallpaper. 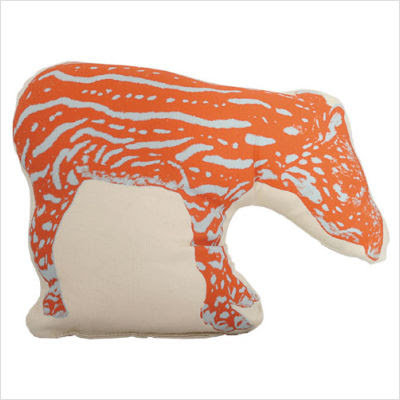 I instantly fell in love with their animal accent pillows. They are beyond. After speaking with CSN stores, they have generously agreed to offer a Fauna Tapir Pico Pillow(my very favorite) for my very first blog giveaway! The possibilities are endless. It is amazing to me that an accent pillow can compliment a room to such an extent that it can totally reconfigure the idea of the room. 3. And leave a comment explaining why you should win (include your email). The winner will be announced next Saturday and contacted by email. Today I bought a Deepa Gurnani headband. They are from India and each piece is slightly different and unique making me love it all the more. My camera happens to be on the fritz so I apologize for the grainy photo booth pictures. 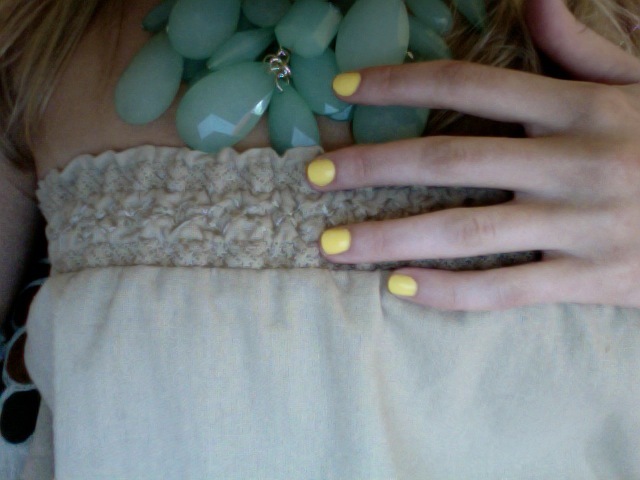 Oh, and I just painted my nails last night and wasn't sure how I felt about the yellow. Turns out all I needed was a little sleep because I woke up in love. I can't stop staring at my fingers. 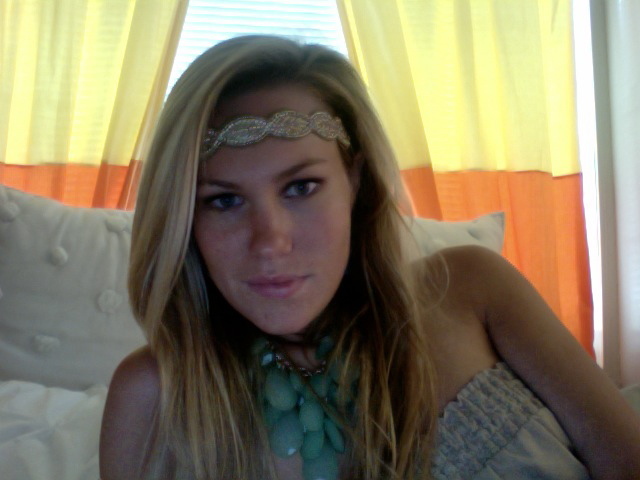 Which way do you prefer to wear your headbands? How I have missed you! Hooray for new outfits and INTERNET! Cropped tops....I am obsessed. Two years ago I would never have dreamed that I would be sporting such a scandalous clothing article. Cropped tops are for Julia Stiles circa 10 Things I Hate About You. Oh but how the times have changed. My favorite way to pair these delicacies is with a pair of high-waisted shorts or cropped pants. This is really too casual to even post but whatever, here you go. I'm cheesing it. Do you like cropped tops? What is your favorite way to pair them?